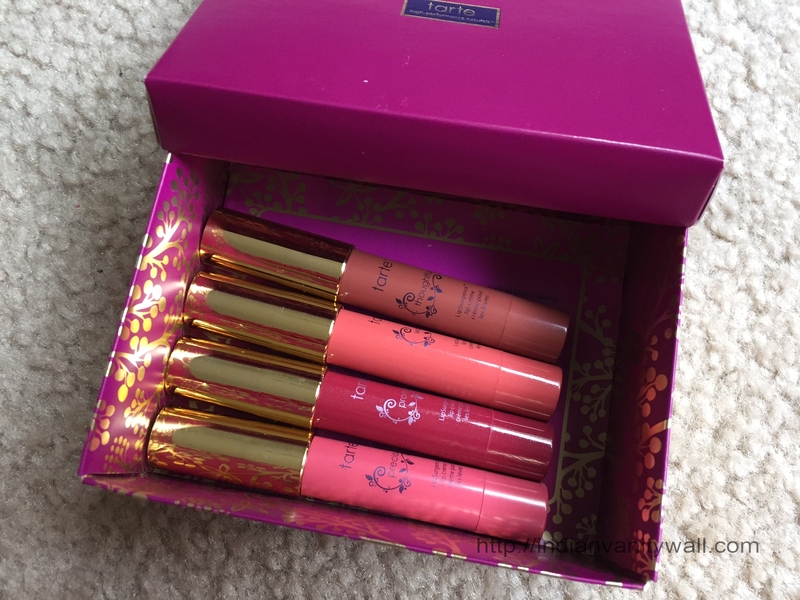 Today I have a beautiful gift set from Tarte LipSurgence that was out some time late in 2014. 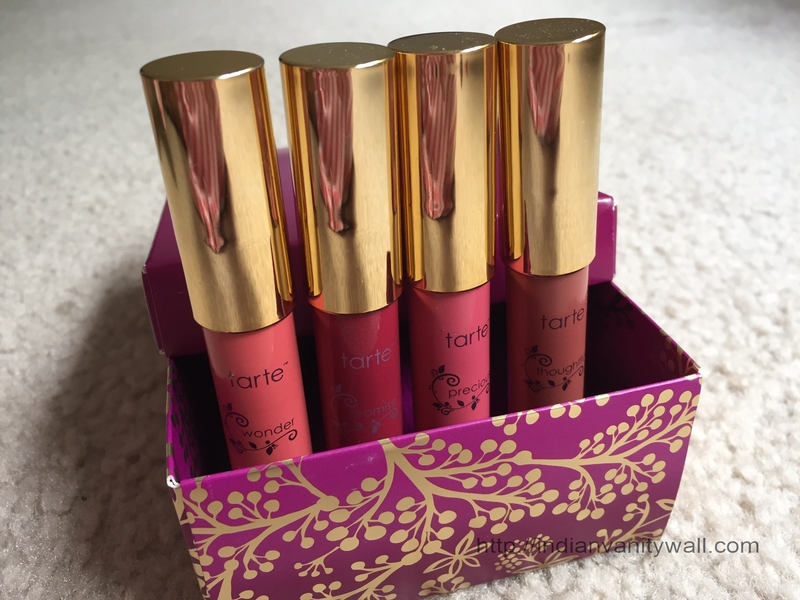 The cute berry box contains a set of 4 Tarte LipSurgence Lip Cremes. These are the in the ever trendy chubby stick form. This range claims to be infused with invigorating ingredients like shea butter, jojoba oil, and mineral pigments that would make lips stay soft and nourished with intense lasting color payoff. I will be reviewing the shade Promise. Full size product is priced at $24 each. Ricinus Communis (Castor) Seed Oil, Polyethylene, Cetyl Ethylhexanoate, Bis-Diglyceryl Polyacyladipate-2, Hydrogenated Polyisobutene, Triisostearin, Polybutene, Octyldodecanol, Candelilla Cera/Euphorbia Cerifera (Candelilla) Wax/Cire de Candelilla, Paraffin, Aroma/Flavor, Tocopheryl Acetate, Phenoxyethanol, Triethoxycaprylylsilane, Simmondsia Chinensis (Jojoba) Seed Oil, Butyrospermum Parkii (Shea) Butter Extract. 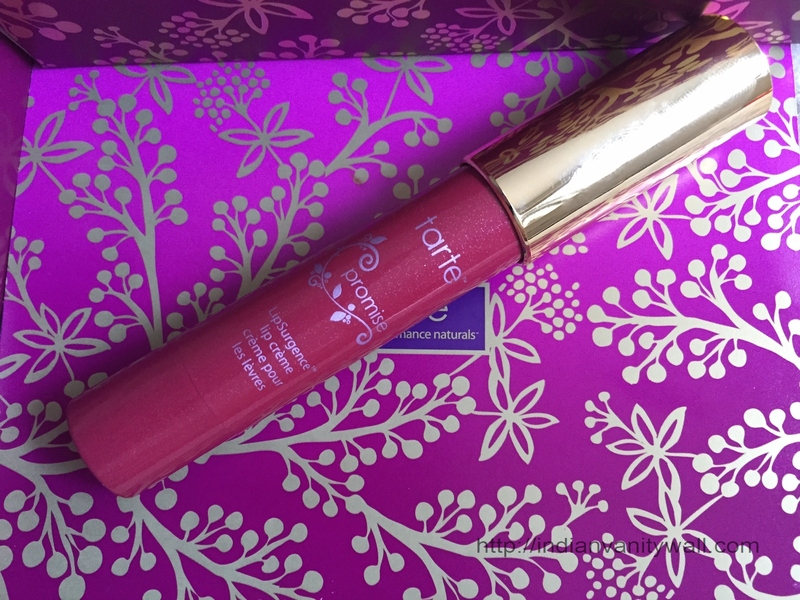 The Tarte Lip Surgence lip creme comes housed in a twist up crayon packaging. 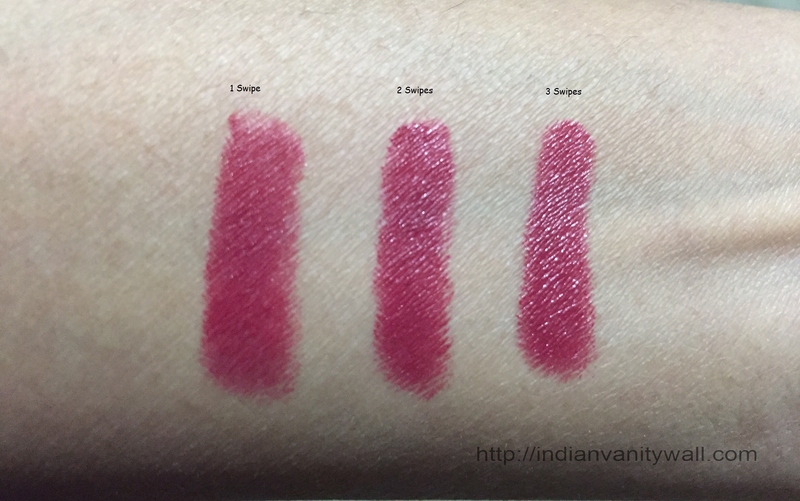 It has the same color as the lipcolor shade which makes it quite handy to locate shades. The cap fits tight and is gold in color which is quite attractive. I absolutely love the twist up mechanism that prevents so much of product wastage. 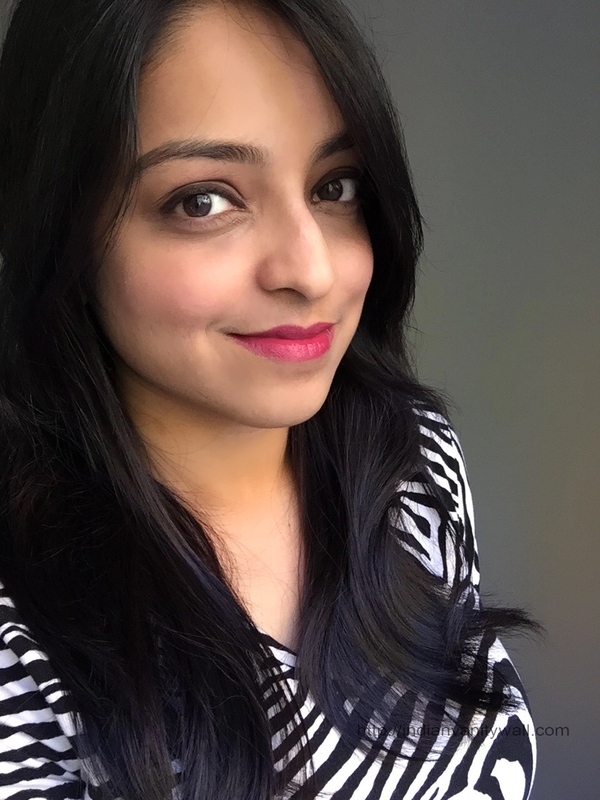 As opposed to the generic idea of lip crèmes being liquid-y creamy, the twist up crayon formula is creamy enough in the solid form to glide on smoothly without any tugging and is adequately hydrating on the lips. The lipstick smells of fresh mint. Similar to the Revlon Matte balms, this leaves a cooling sensation on application which tends to disappear after a few minutes. The shade Promise is a gorgeous berry pink shade that applies in a satin finish. 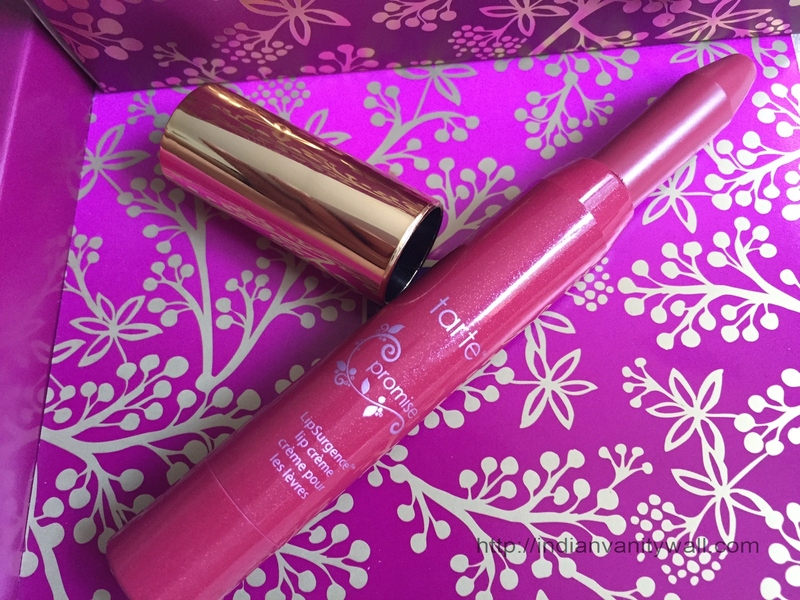 This is a shimmer free formula. The pigmentation is excellent giving opaque coverage in 1 swipe. The color intensity can be built up with multiple swipes without appearing tacky. It’s a beautiful shade that is universally flattering. Staying power is excellent as well – it lasts about 4-5 hours with light meals. After that, it settles into a dark pink stain for another 2 hours. Fading is even without appearing patchy. Because of the creamy texture, it transfers quite a bit. 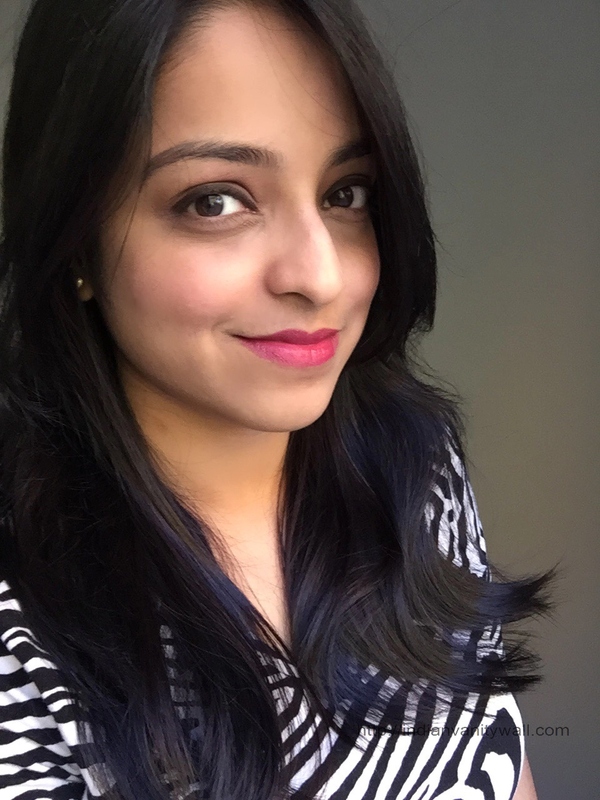 Overall, it is a beautiful lip color with comfortable formula that lasts really well on the lips. I am almost more than half way through this and would definitely get the full sized version. Highly recommended! This shade will surely be a hit for everyone. It would cater to all skin tones. 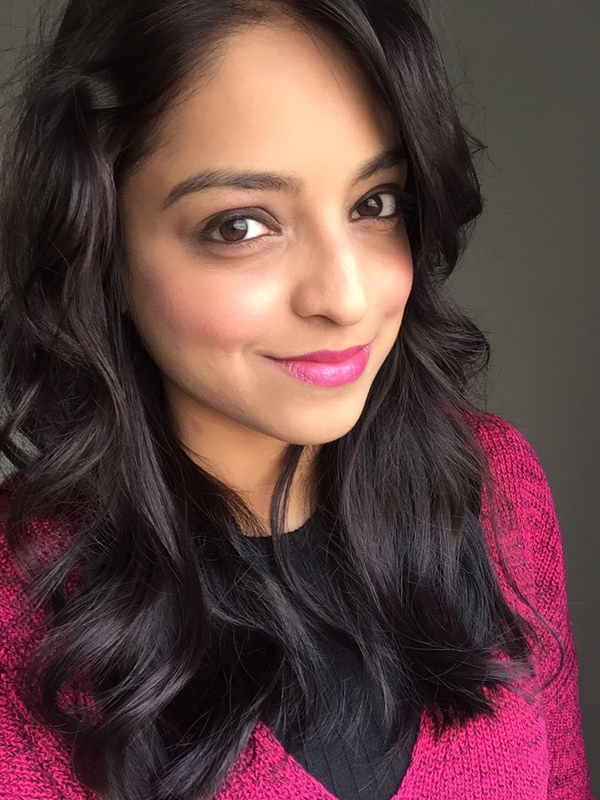 Excellent formula, color payoff and finish makes this lipstick a must buy. i love cooling sensation in lip crayons 🙂 nice color and nice fotd.. 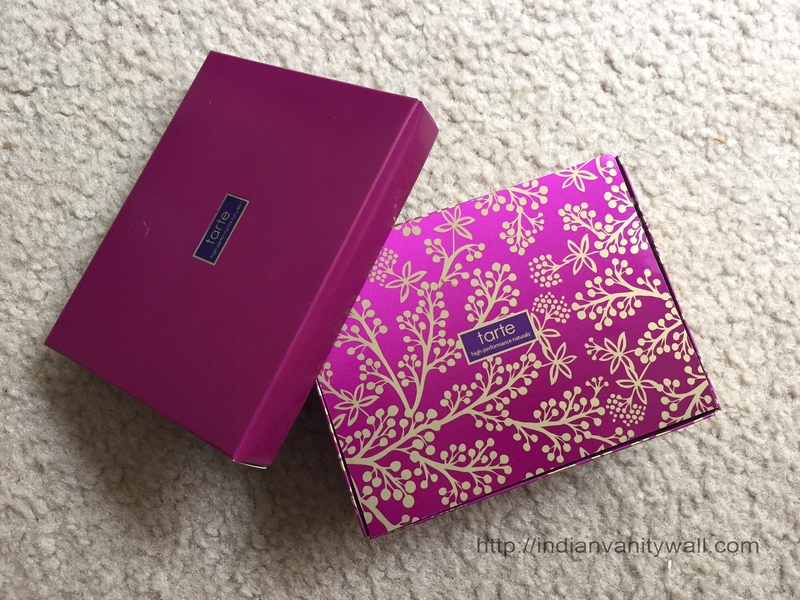 I love the box packaging. The shade looks quite nice.